I do not want to beat around the bush with this one. I'm just going to cut right to the chase. I love this mascara. I love the wand, the formula, the bottle. 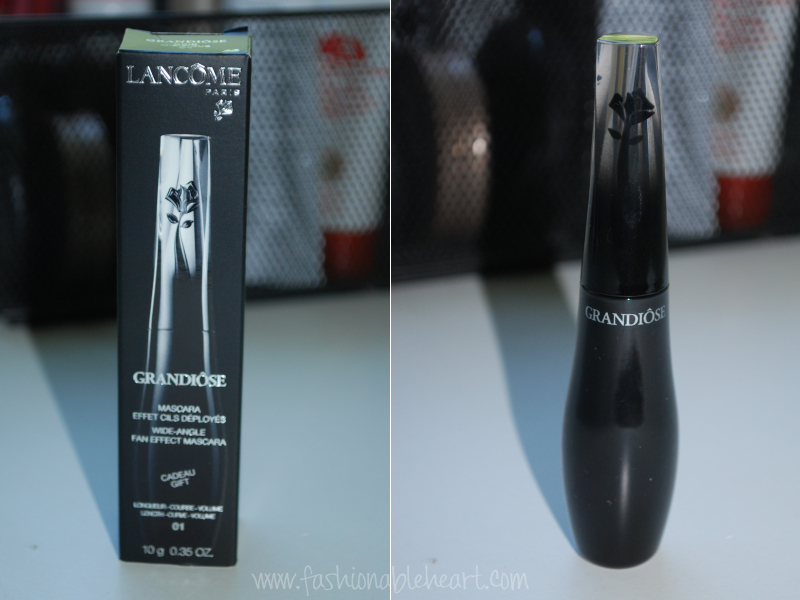 Lancôme GRANDIÔSE has surprised me during my first foray into Lancôme cosmetics. 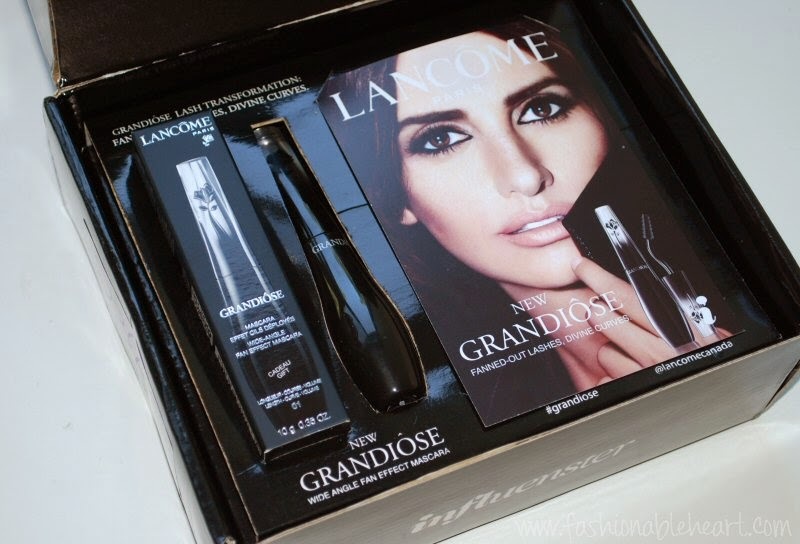 Lancôme describes this mascara as: "This grand mascara reinvents a new application technique with its new swan-neck wand. 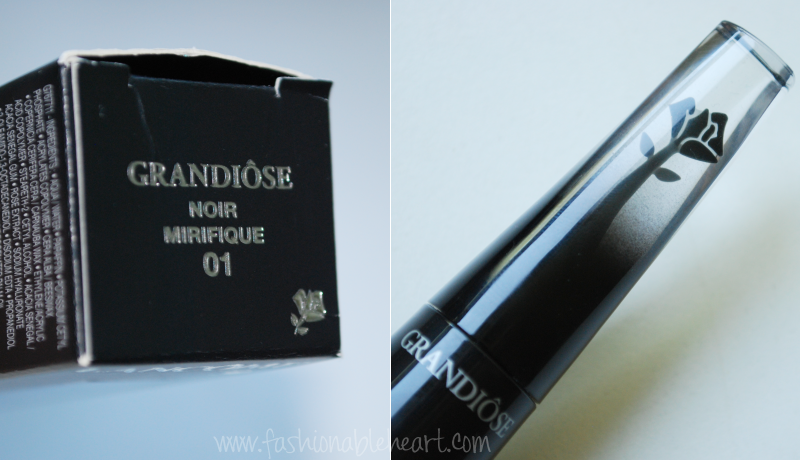 Grandiôse provides length, curve and volume all-in-one as well as access to all lashes from corner to corner and root to tip." ^ I love the rose detail in the top. 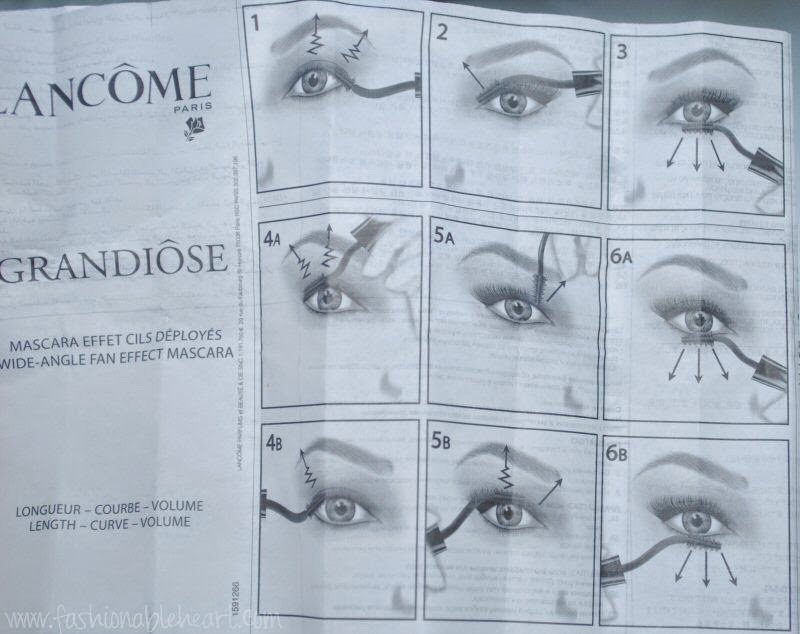 ^ The instruction sheet that comes in the packaging. I don't really think you need this, as the wand is very intuitive to use. It's good at showing the versatility, though. ^ The formula and effects remind me of the Benefit "They're Real!" mascara, which is one of my favorite mascaras. I did not experience any clumping or flaking. I really like the curve of the wand. It makes both eyes extremely easy to get full coverage. 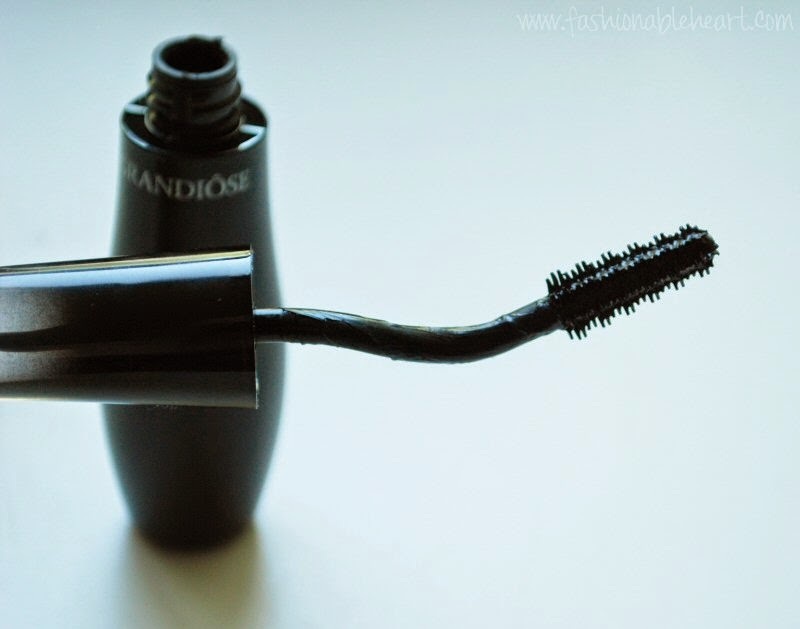 An added bonus is that it stirs the formula when you twist it out, allowing the mascara to last longer in the tube. The rose cell extract nourishes lashes. I don't care for the price at $35 CA, because I'm on a budget (not because of the product). Honestly, I think more people are going to love this than those that will dislike it. It's effortless! **I received this mascara from Influenster. All pictures and thoughts are my own. There are no affiliate links in this post. Oh wow! 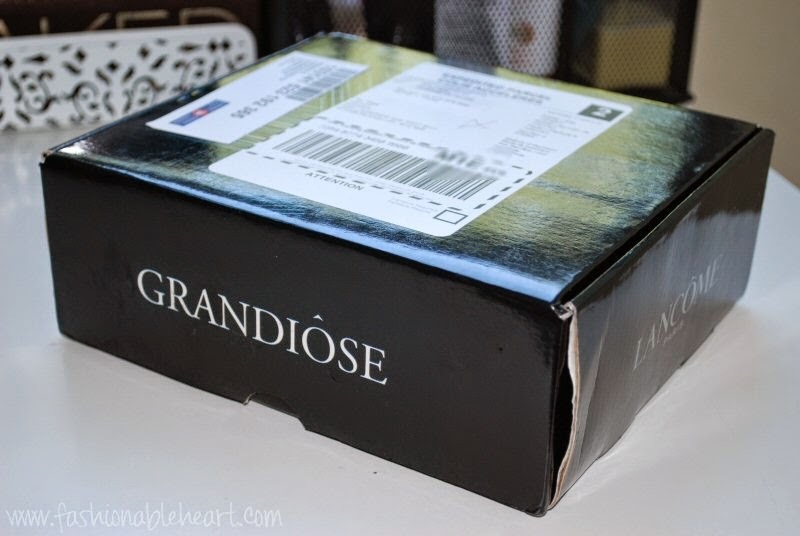 Wasn't it packaged beautifully? If it is anything like the They're real, I know I'll love it ;) Fab review! "Swan-neck" is a funny way to describe the wand but it's pretty apt. Now I can't help but think of swans wobbling around, lol. The mascara sounds great though! Hmmm tempting. Lancome is doing a free sample set right now with any $35 purchase so maybe I'll need to grab this mascara soon!!! I have seen so many great reviews and pics of this mascara! I want to try it! Thanks for the great review! GAAAHHHH I've seen this mascara popping up all over the place, and it looks great! I just haven't ever strayed far from my basic CoverGirl mascara, so I'm a bit weary.